The Motion 20 is a breathtaking visual statement regardless of its compact dimensions. Dual 5-1/2-Inch aluminum cone woofers are paired with a rear-firing bass port for extra punch in the low frequencies. With the addition of our Folded Motion tweeter it's a design that delivers solid low-frequency reinforcement, superb sound dispersion and precise, highly dynamic high frequencies. 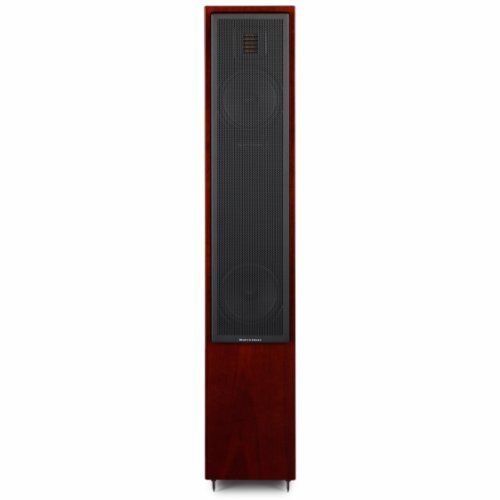 The elegant Motion 20 & 40 tower speakers are the newest additions to MartinLogan's award-winning Motion Series. Voice-matched with the entire Motion Series products, the new Motion 20 & 40 speakers feature our advanced resolution Folded Motion tweeter and have been designed with a luscious high-gloss piano black finish, subtle angled-top cabinet with soft radius corners and signature MartinLogan perforated grille. Each model feature dual sets of custom 5-way binding posts for bi-wire/bi-amp capabilities and powerful rear-firing bass port. Stability is enhanced to create tighter coupling between speaker and floor with the included spikes.